Long shots worth a second look. David O’Meara had five runners on November 17 across the cards at Chelmsford City and the newly installed all-weather surface at Newcastle. O’Meara has had two wins from his last six starts, while Alfred Hutchinson came very close to giving him a hat-trick of successes on November 12 at Lingfield but was just touched off by a length. The Yorkshire-based trainer was expected to have more joy on November 14 at Newcastle with Mon Beau Visage who was heavily tipped up to win a handicap over 7f, but the 3/1 favourite was headed inside the final furlong and had to settle for seventh place in the race won by Kalk Bay. The highlight of the year so far for O’Meara has to be his success in Arlington Million XXXIV Stakes where Mondaliste landed the spoils in the Grade One contest at Arlington Park back in August to pick up just short of £400,000 in prize money. With the turf season done for the year, O’Meara will be concentrating on having as many winners as he can on the all-weather surface during the winter. Here is a look at the chances of O’Meara’s runners at the two meetings on November 17 in what could be another great day for the in-form trainer. The first of four runners for O’Meara starts in this competitive 6f sprint at Newcastle where he saddles Highland Acclaim. The consistent five-year-old has been placed on his last two starts so has been knocking on the door of late. The gelding was only beaten by less than a length at Chelmsford City last month when running off a mark of 90. He led going into the final furlong but just got headed in the last 100 yards by Boomerang Bob and Doctor Sardonicus, who finished first and second respectively. Highland Acclaim went so close to making up for that loss when he ran at Wolverhampton on his latest start. This time off an official rating of 87, he was just over a length away from the winner, Upstaging, a four-year-old from Paul Cole’s yard, while the heavily experienced Seeking Magic was a neck in front of him in second place. The horse’s last start was over the sharper trip of 5f which was the first time he had run over that distance before. O’Meara has opted to step him back up to 6f at Newcastle, the distance all four of his career wins have come at and the trip which looks to be where he is most comfortable at. Highland Acclaim goes into this handicap with a mark of 91, however, that should not punters off backing the horse. He has won off 94 before, while his two recent runs both indicate he is running very well so he may only need a bit of luck to go his way for him to return to the winners’ enclosure. The danger in the race will be the lightly raced Spanish City who won over this course and distance last month. At the age of just three and with only five runs under his belt, he could be ahead of the handicapper for trainer Roger Varian. Dragon King is also worth a mention right near the bottom of the weights. Michael Dods’ horse went so close to victory last time out at this course. The first-time headgear seemed to work well on the horse so it would be no surprise to see this son of Dylan Thomas in contention again in the closing stages of this 6f contest. Sunglider will be bidding to break his maiden at Newcastle at the 12th attempt under the hands of Graham Gibbons. The three-year-old was first given a mark of 85 by the handicapper but he has sloped all the way down to 75 which gives him a great opportunity to win for the first time. O’Meara’s runner is the top-rated horse in this 1m2f contest and it may not take much winning if he can bring his best performance. The closest Sunglider has come to breaking his maiden was in his two-year-old campaign when he was trained by Dermot Weld in Ireland. The colt chased home a highly thought-of Aidan O’Brien runner in Shogun where he finished just over two lengths behind the Coolmore runner. Since that outing at the Curragh, Sunglider has finished second on three other occasions, including runs at Ripon and Thirsk. The three-year-old switched stables earlier this year and he ran for the very first time for O’Meara back in May where he finished second behind Sir Michael Stoute’s Mustashry off a mark of 84. Sunglider was prominent in the betting on his latest start at Newcastle on the all-weather surface where he handled the track well to finish third of eight runners over 1m2f. The colt was close up inside the final furlong and kept on well under pressure but was unable to go with Ready and L’Inganno Felice who finished ahead of him crossing the line. To end up in Weld’s stable as a two-year-old, the horse is clearly well bred and with the greatest respect to O’Meara, was probably expected to go onto bigger opportunities than this handicap as a three-year-old. Unfortunately, he has not lived up to what his breeding has suggested he would do. However, that is not to say the Yorkshire trainer can’t find an improvement out of the horse. The biggest threat to Sunglider in this maiden looks to be James Fanshawe’s runner Issue. He has only seen a racecourse twice and was expected to score at Kempton on his latest start where he went off as the 2/1 favourite. He may just have needed those outings to get used to the whole experience of a racecourse. It would be no surprise to see him make a considerable improvement. Given it is a weak maiden, it may be wise to also watch the market for any support for Black Is Black and Maifalki who are both making their debuts. It is not normally advised to back horses who are making their first run, however, they would not need to be special to take this contest. Sunglider definitely represents a solid each-way bet here though and if all 10 runners go to post, O’Meara’s runner should have a great chance of finishing in the frame and picking up some place money at the very least. After two races at Newcastle, O’Meara and his team will be hotfooting down to Chelmsford for their evening meeting. The first of his three runners on the card comes in the 6f sprint at 5.50 where Regal Dan will look to defy top weight against seven rivals. The talented Regal Dan arguably is O’Meara’s best chance of a winner at Chelmsford as the six-year-old has been running in much better company than this field so is more than capable of picking up the prize money for connections. The talented Shelley Birkett picks up the ride on this sprinter which is very helpful as she claims three pounds of his back. Regal Dan came very close to winning two weeks back at Chelmsford over the slightly longer trip of seven furlongs. He finished second behind the odds-on favourite Fort Bastion in a really respectable run. It’s been a busy campaign for the six-year-old as this will be his 12th run of the year. He started his campaign back in April at Doncaster in a Class Three handicap and the closest he has come to winning was at Town Moor in July where he was denied by a nose in a photo finish against James Tate’s Brazos. This horse has been rated as high as 91 so off a mark of 83 at Chelmsford, you have to feel the handicapper has given him a chance. It’s only a small field for this sprint but the majority of their runners will be in with a chance, including Zac Brown who is the officially the highest rated in the contest at 92. He featured in a Listed race at Lingfield not long ago so is clearly the danger to O’Meara’s runner. O’Meara has given himself two chances of winning this seven-furlong handicap at 6.25 as he mounts That Is The Spirit and He’s No Saint to take on the field. 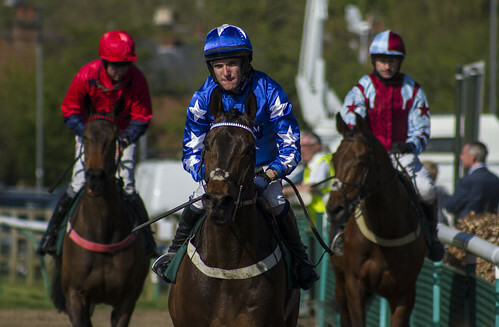 Both horses look to have an excellent chance of being in the mix in what is the best race on the card at Chelmsford. O’Meara has booked the services of William Buick to ride That Is The Spirit which is an excellent boost for the horse. This five-year-old has been one of the flagship horses in the Yorkshireman’s yard. In 2014 he ran in the Group One Qatar Prix de la Forêt at Longchamp as a three-year-old, while the following season he was successful in a Listed contest and also took part in the Group Two Betfred Hungerford Stakes. At the age of five, That Is The Spirit is being campaigned in high-class handicap races like this one at Chelmsford. He was a winner two starts back at this trip at Ayr where he made all the running at the Scottish track to score by a head. The six-year-old’s latest run at Leicester last month is a concern as he ran very flat, finishing last of the six runners. However, if you put a line through that outing, he deserves to be near the top end of the betting for this race and will be in with every chance of coming out on top. He’s No Saint doesn’t quite have the same CV as his stablemate, however, the son of Dutch Art has earned just short of £60,000 for his connections with four wins to his name in his career so far. The gelding came very close to a course and distance success last month only to be denied by a head behind George William. At a starting price of 16/1, O’Meara’s runner was not fancied to be in the running, however, he ran very well off a mark of 88 to suggest another big run could follow on Thursday. He’s No Saint has one win to his name this season. He scored at Lingfield back in September when Champion Jockey Jim Crowley rode him to victory in a six-runner contest. He justified favouritism on that occasion to land the spoils. Since that victory, he has struggled a little with his mark and has finished down the field in runs at Chelmsford and York. The highest rated horse in this race is Chookie Royale. Despite being eight years old now, the veteran still has to be respected, as he proved on his latest start where he scored at Kempton off a mark of 104. Chookie Royale has had 66 races so far in his career and has earned just short of £200,000 in prize money. At his very best, Keith Dalgleish’s runner has been rated as high as 111 therefore at 110 he is just shy of that figure. The eight-year-old has a six-pound penalty to contend with following his Kempton win but Shirley Teasdale will be taking five pounds off his back so connections will fancy of more success from their horse. Further down the card, Supersta is another interesting contender. He has not been seen on a racecourse in 161 so it would be a fantastic training job from Michael Appleby if he were to come out on top. This five-year-old is a course and distance winner and has Luke Morris in the saddle, arguably the best all-weather jockey riding today. Of the two O’Meara runners, That Is The Spirit clearly has the best chance of success, however, at the prices, He’s No Saint could be a solid each-way selection given there are 13 runners in the field so you have three places on your side. Welcome to the Outsider site. Our aim here isn't to find the odds-on that romps home, but instead the lesser lights, the unlikely victors. We'll primarily be covering horse racing but will touch on other sports and events from time to time. 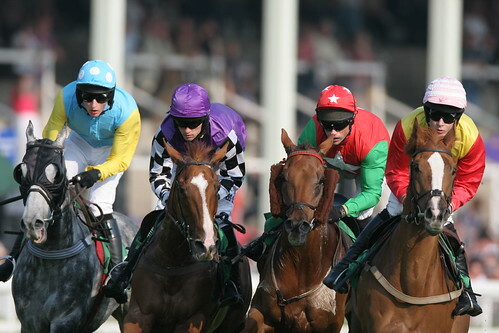 Visit horseracingbetting.co.uk for the very best horse betting sites and top free bet offers. For all UK gamblers out there, you can find great new casinos 2018 here. Here Come The Girls - Female Jockey's Cheltenham Success!